This post may contain affiliate links where I will be compensated for at no extra cost to you. I only recommend products that I love. Two years, I discovered and immersed myself in all things healthy. I started working out and eating healthy foods and was in the best shape of my life at age 32. When I got pregnant with my singleton, I vowed to continue what I was doing and make it a fit pregnancy. Everything started well and then I just stopped. Fast forward to today and my youngest is 7 months. I love how I feel when I’m active and eating well, but I have made so many excuses as to why I shouldn’t get back to it. I’m too busy. I have three small children (3, 3 and under). I’m too tired. Last night, it hit me that what I have been lacking is accountability. So, starting today, I will be holding myself accountable my sharing my journey with you all because I know there are so many women who have the same excuses as me. Want some healthy tips? Get that and access to my free printables library here. This is one of my favorite go-to breakfasts or snacks. Add Greek yogurt, oats, splash of unsweetened almond milk and your choice of fruit in a bowl or jar. Let it set overnight (hence the name) and you have a yummy breakfast! Who doesn’t love pancakes? This is a yummy recipe that uses oats instead of flour. Make this treat at home in your blender. My girls are obsessed with this. Since you make it at home, you control the ingredients so you don’t have all the unnecessary sugar that’s added to the store bought version. Did I mention it’s so incredibly easy? Chop up an apple and a sweet potato in small chunks and add to a skillet that has coconut oil in it. Cook until soft and sprinkle some cinnamon on top. Yum! Great for a side, breakfast, or meal prepping. I love to add some feta on top too. You can also add some bacon or turkey bacon because, well, who doesn’t love bacon?! I love roasted asparagus with olive oil and salt (I omit the pepper because I’m allergic). Sprinkle some parmesan cheese if you want. Chocolate is my go-to with a tsp of peanut butter and half a banana with unsweetened almond milk. Grilled salmon is amazing. I like to put a bit of dijon mustard on top with a parmesan/bread crumb mix. Nix the mayo mix and use dijon mustard instead. Top with paprika. It doesn’t get easier than zoodles. Using a spiralizer or veggie peeler, make noodles from the zucchini. Toss with olive oil to warm them and you have a yummy, healthy alternative to pasta. This is a staple in our house. This is a delicious alternative to your typical breakfast sausage. 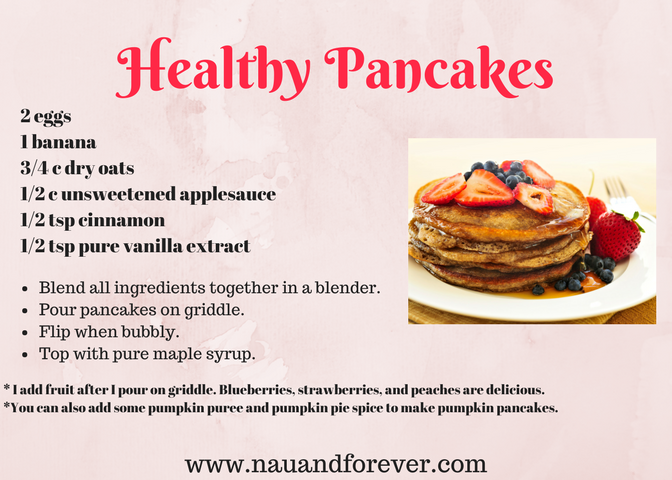 Add some apple/sweet potato hash and you have a great breakfast for your family. Grab your coupon for Applegate breakfast sausage here. This coupon is redeemable at Whole Foods stores. If you love natural and organic foods and products, you have to check out Mambo Sprouts! You can get awesome offers from them in your Valpak envelope. 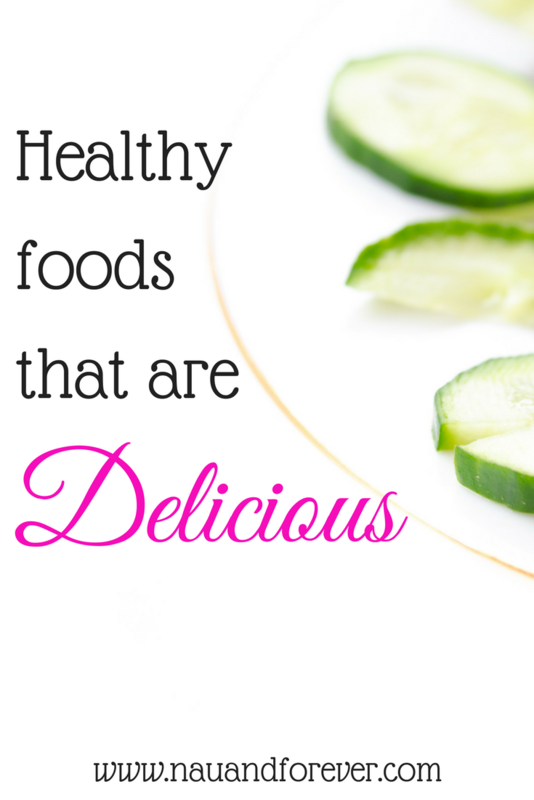 I’d love to know what your favorite healthy foods or meals are. Share it in the comments!